A few months ago I learned that my dog Billy has skin cancer. To pay for the cost of his care I decided to go back to work. Since I had long experience as a hospice volunteer in several states I decided take a job as an in-home hospice caregiver. My first assignment was to give care to and 89-year-old woman who I will call her Molly. Her regular caregiver was on vacation for a couple of weeks so I was filling in. She has a rare form of Parkinson’s disease that has attacked her throat and her ability to speak. Her husband Harry who is 82 is her primary caregiver. He is a difficult man who is very critical but is attentive to his wife’s care. Molly also has a daughter who lives in a distant state. She is very angry at and suspicious of Harry and the two of them can’t get along. Neither the husband nor the daughter are able to express much affection to Molly. Each day when I arrived Harry would have already given Molly her breakfast and I would try to get her up for the day. 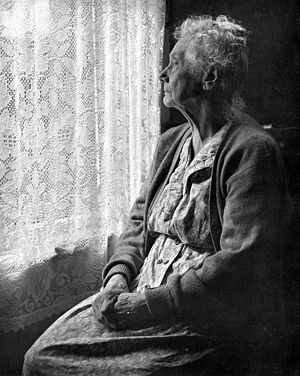 She didn’t have much to look forward to since she would spend most of the day in front of the television watching reruns of Bonanza and Matlock. So I looked for things that would make her the day more interesting. First, after getting her dressed I would take her for a walk in the streets outside her home. We would stop and look at flowers or an interesting bird or even a new car. While I pushed her wheelchair I would recount tales of my life especially foreign travels and tell her about the people and funny or unusual experiences. Sometimes she would try to talk with me but she could only manage a hissing sound. At first I found it difficult to talk about myself but I realized that it was comforting for her to hear these stories and it built a connection between us. An unfortunate incident occurred her husband put her in her wheelchair in the yard to get some sun. Somehow she fell over into a cactus plant. She went to the emergency room for treatment as she had reacted to the poison in the plant. A few days later I was filling in for her regular care giver and took her to a new doctor to look at her throat. While we were in the waiting room I asked her how she was and if the cactus wounds were painful. She shook her head and held out her arm to show me the large bumps that were a reaction to the cactus. Impulsively I kissed the spot and told her that it would make it well. She laughed! Never before had I seen her laugh or have any instinct to mirth so we laughed together. What I learned while caring for Molly is how important it is to find moments of joy in the life of those who have lost so much. Neither her husband nor her daughter were capable of giving her much affection so I would lavish hugs and kisses on her, telling her she looked pretty after I had combed her hair and she had put on lipstick. How much she needed the affirmation and how good it felt to give it to her. The funny thing is that being able to help her helped my soul heal. Being old and without family means that I rarely find moments in the normal course of my life when I am able to help someone. What a joy it is to do so. Because Molly and Harry aren’t believers the most important thing I could do was to pray for them and I still do. I ask you to pray for them as well. This entry was posted in Suicidal Thoughts and tagged Being alone, Coping, God, love, Meaning, Suicide. Bookmark the permalink. Today, I would like to introduce to you a dear, wise and gracious lady named Michelle. She and I have traded observations and thoughts over the last few years, and I have come to deeply respect her thoughts, shared so fruitfully because they are born from her own pain and struggles, about which she is very transparent. I am reminded of the disciples of Jesus, who, on encountering Him after the resurrection, accepted the truth by seeing the wounds in his hands, feet and side. Likewise, Michelle shares much truth, by revealing her own wounds. In her latest blog post, she shares some of her experience working with an elderly hospice patient. I recommend that you read it all.